I’ve professed my love for the art of standing: You Should Stand More. I’ll let you peruse that gem for the details. When I started working from home over a year ago, somehow I fell back into the sitting trap. I had a desk. And a chair. No sweet boxes laying around…..so I sat. For waaaaay too long. 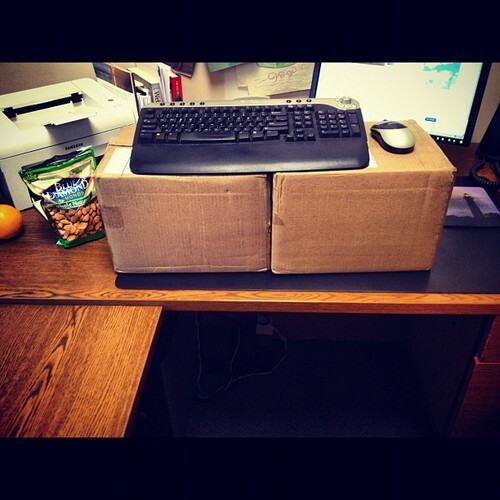 I looked for a DIY standing desk online from time to time, but never found one that tickled my fancy. Then I came across A New Twist on the DIY Standing Desk on Man Made. Very sweet. Very easy. Buy extra-large shelf brackets and pre-cut wood. Lowes? Home Depot? Measure height of desk – elbow height, i.e. 44″ for a 5’11” person. Attach shelf brackets with wood screws. Make sure they are level. Attached wood to shelf brackets. Bam! 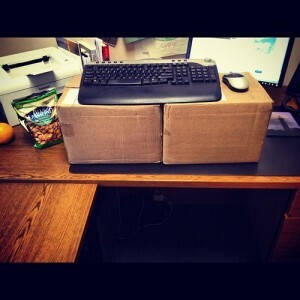 Super rad, amazingly simple DIY standing desk. 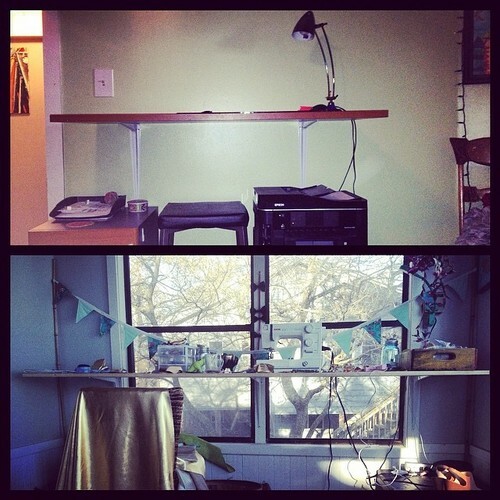 This entry was posted in Dude Projects, Health, Home, How To, Mobility and tagged desk, DIY, easy, standing. Bookmark the permalink.